Celeb stylist Vipul Chudasama and Dr. Vijayalakshmi Goodapati, Owner of Mirrors Salons and Academy are coming together to give Hyderabad a glam and glitz makeover. Vipul Chudasama will be available at Mirrors from now. This is a remarkable opportunity for the style-conscious Hyderabadis who travel all the way to Mumbai, London Paris or New York for that perfect haircut-they just have to walk into Mirrors salons at Jubilee Hills and Madhapur and get a makeover befitting a Hollywood star. Get ready to become the cynosure of all eyes! Celeb stylist Vipul Chudasama and Dr. Vijayalakshmi Goodapati, Owner of Mirrors Salons and Academy are coming together to give Hyderabad a glam and glitz makeover. Vipul Chudasama will be available at Mirrors from now. This is a remarkable opportunity for the style-conscious Hyderabadis who travel all the way to Mumbai, London Paris or New York for that perfect haircut-they just have to walk into Mirrors salons at Jubilee Hills and Madhapur and get a makeover befitting a Hollywood star. Get ready to become the cynosure of all eyes! Renowned as one of the top hair stylists in the country, Vipul Chudasama has been at the forefront in transforming india’s fashion landscape. He has closely worked with some of the biggest names in the fashion and film industries and widely regarded as a favorite for many of them. His trend-setting work has also earned him global recognition including the rare distinction of showcasing his work at the Haute Coiffure Francaise in Paris. Vipul Chudasama has trained and inspired more than 5000 hairdressers in India and on the international stage. Vipul passionately creates exciting signature hair collections and is in constant demand for stage work, commercial and editorial work for magazines & brand photo shoot. A woman addicted to success, Dr. Vijayalakshmi is one of the hair and beauty industries’ foremost trend setters. She was conferred an Honorary Doctorate (PHD) by the prestigious Concord University, USA, for her outstanding commitment to humanitarian care for cancer patients. The doctorate was presented to her by Mrs. And Mr. Chandrababu Naidu, Chief Miniter of Andhra Pradesh. She is someone who puts her name forward if there’s a challenge, always sees room for improvement, never complains, is self-driven and has a hunger and passion for the profession. She has helped put Mirrors Salons and Academy right up there on the global fashion, beauty and hair care map, passing on her learning and passion for hairdressing to the rest of the team. 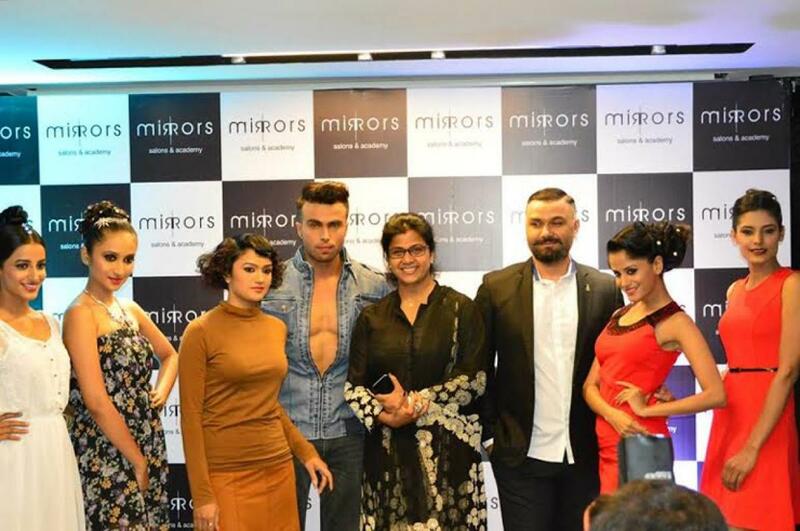 Mirrors one of our own city’s salons has made the city proud by winning the “Best Salon in South” award at the L’Oreal Professional Indian Hairdressing Awards 2014-15 and several other reputed national awards such as Regional Standalone Salon of the Year (Premium Segment), Spa of the Year (Aesthetic Desingn), Customer Services Excellence, Best Day Spa in South India and New Creative Force of the Year at the prestigious India salon awards 2014-15. Form Dr.Vijayalakshmi Goodpati’s artistic team of award-winning stylists and colorists to the eclectic fusion of luxurious services and unparalleled standards, Mirrors Spa & Salon promises you an exclusive salon experience like no other. A mirror has an extensive client base and is favoured by film stars, models, cricketers, industrialists, politicians and style connoisseurs. Addicted to success, Dr. Vijayalakshmi is quite an icon and is held in the highest regard in the beauty and fashion industries.